For someone who loves to camp, to surf, and like anything with the beach, I think the South Carlsbad State Beach Campground is perfect. 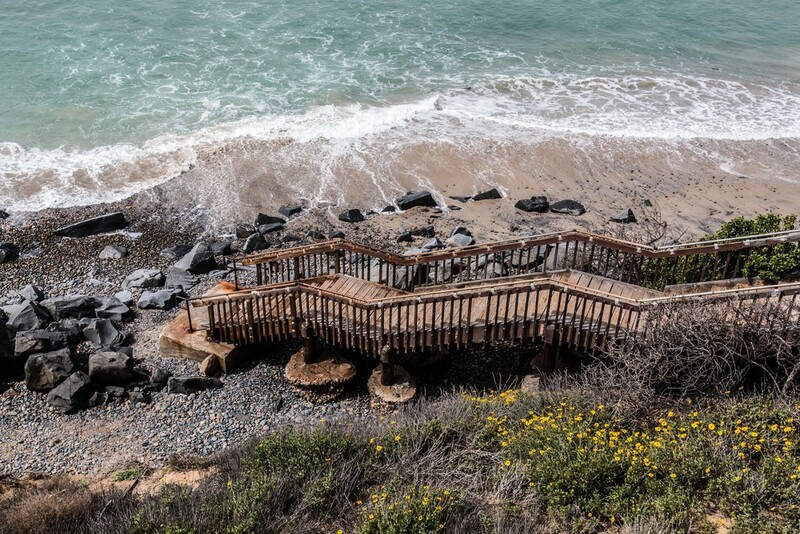 The city of Carlsbad is known as "The Village by the Sea." Because of its pretty incredible beaches, it does attract many tourists. 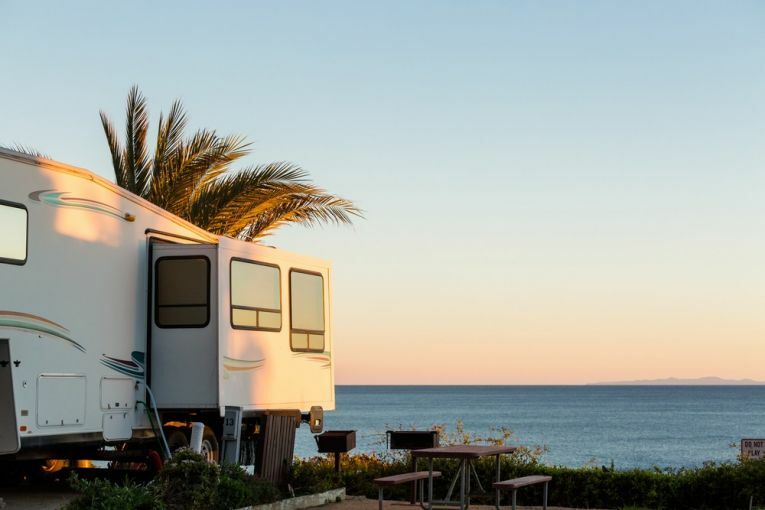 The South Carlsbad State Beach Campground, in particular, is one of the most popular campgrounds in the area, especially during summer. Overall, there are 222 campsites, varying from inland campsites, inland hookups, ocean campsites, and ocean hookups. I love how close to the ocean you can be! It does get cold and breezy, so make sure you have a warm sleeping bag or blankets, even during the summer. For those in RVs, or motorhomes, you should be comfortable. Another thing that makes this campground great is that it makes camping pretty easy. You don’t have to worry about roughing it (although sometimes that’s an adventure in itself). Like I mentioned earlier, there are sites with hookups for RVs, and dump stations. Restrooms, indoor and outdoor showers, and drinking water are also very easily accessible. Many parts of the campground are also wheelchair available, and there are beach wheelchairs you can borrow for free. Surfing and windsurfing are a favorite sport in the area. You can also swim, scuba dive, or snorkel. But if that's not your thing, you can still have fun on the beach. You can make sand castles, play volleyball, go for long walks, read a book, etc. It’s up to you. And when you’re there, you’ll most likely find something fun to do. One of the campgrounds strong suit is that it has the most incredible ocean view. I think that's what many visitors love about this place too. For beginner campers, this area is excellent because it isn't intimidating. You have easy access to everyday conveniences. Another great thing about this place is that it is that it's very family friendly, it's dog-friendly, and it's wheelchair accessible. If you think that reservations are a hassle, think again. It's quite easy. You'll need to book in advance for a slot, especially if you plan on camping during the busy months. The campsite price is pretty reasonable as well. The sites also have a right size. They are large enough to be comfortable for at least 2-3 large tents and to have space away from other campers. Some trees and shrubs separate each campsite as well. There are also quiet hours and rules to keep the peace. But just hope that your neighbors will honor them. Lastly, the bathrooms are relatively clean. There might be times when they are not as well kept, especially during busy months when people are in and out so fast. Otherwise, the bathrooms are kept quite clean, and for the times I’ve been here, there was always toilet paper available. Since it is quite popular, it can get full fast. However, that’s not the problem because you’ll have a big enough campsite anyways. The downside is when you have noisy neighbors and long bathroom lines. Many come here to have parties, so if you’re looking for some peace, hope for neighbors who want the same. Another disadvantage is that showers are not free. However, that could also be an advantage because it does promote water conservation. If your campsite is by the road, there will be roadside noise. That said, try to book as soon as possible so you can get an ocean view campsite. What are the camping fees? Ocean single hookups are $75/night. Reservations are necessary and the earlier you reserve, the better. You can reserve up to six months in advance from your intended date. Check-in time is at 2:00 pm. Please plan because there is no early check-in option available. Campfires are only allowed on the designated fire rings. Beach fires are not allowed. Is it safe to camp here? ​The campground is safe. However, you should take measures to increase safety and security. The most common crime is theft, and it usually happens in unattended campsites. That said when you leave your campsite and during the night, you should secure valuables in your vehicle or your tent. You can also acquaint yourself with your neighbors so you can agree to watch each other's campsite. The State Park also recommends that you mark or label your belongings with your driver's license number, so it's easy to identify. Finally, you should report any suspicious activities as soon as you notice them. There are also lifeguards scattered around the beach. Still, you should always be careful when going in the water. Children and even adults, should not swim alone. Yes, they are. However, only from 10 am to 8 pm. Pets/dogs are allowed as long as they are kept on a leash and under control. You should also always clean up after them. Pets are not allowed on the beach, except for service animals. 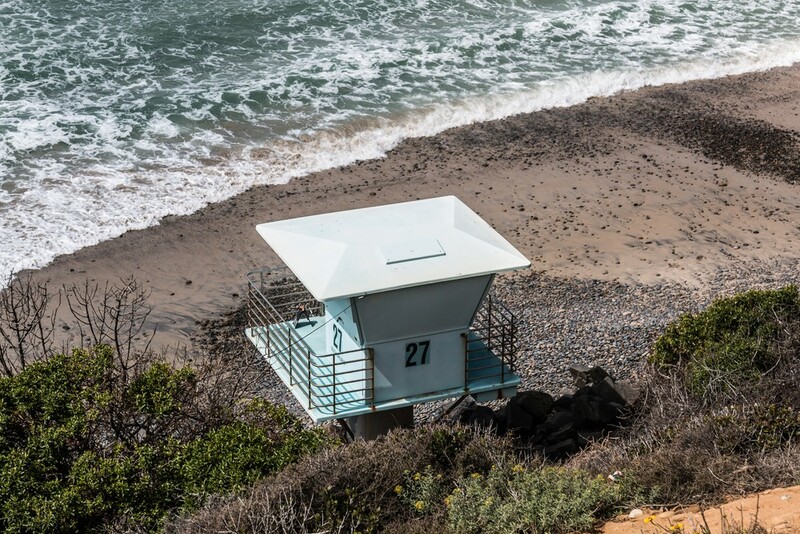 Overall, the South Carlsbad State Beach Campground is a great place to camp! I enjoyed all the times I’ve camped here. Whether it’s to catch waves or just to just get away from the hustle of work life, this place hits the spot for me. The beach is beautiful, the view is gorgeous, and the camp experience is pretty chill and relaxed. For sure, the advantages outweigh the disadvantages.